Chesapeake School District Mobile App! 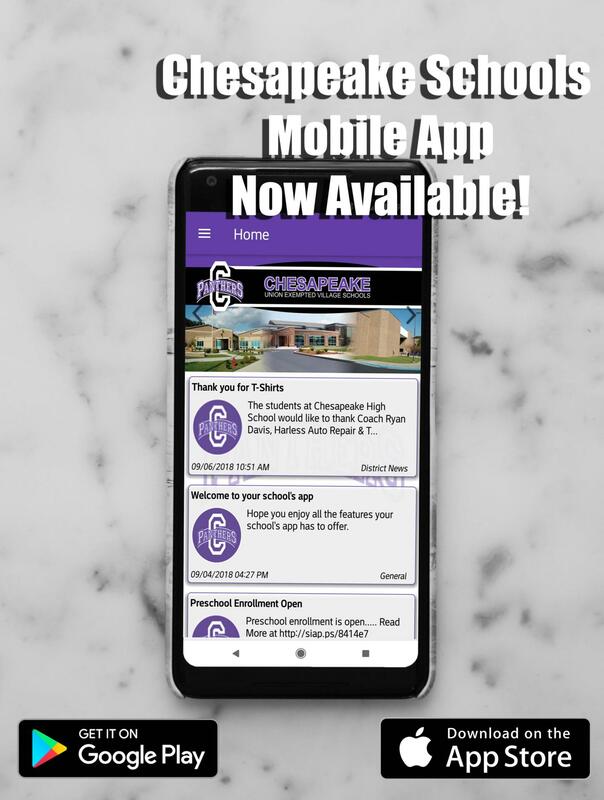 The Chesapeake School District's new mobile App is now available on the Google Play and Apple iTunes store! We will be updating and adding functionality to this app within the next few weeks. We hope you find this app very useful and engaging!